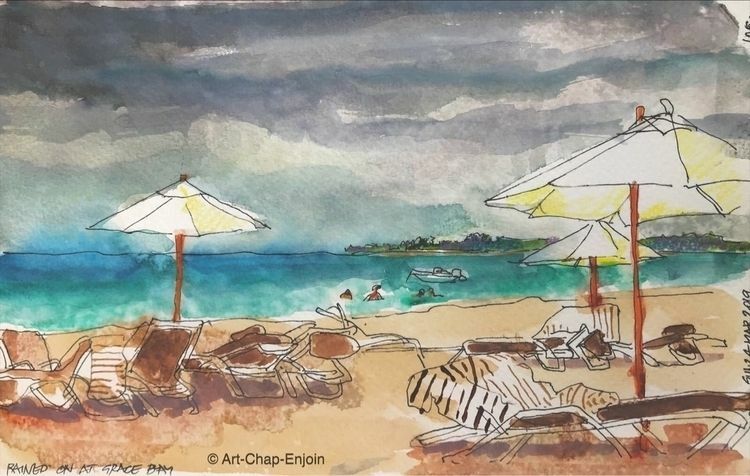 On Sunday I thought it was about time I visited the famous Grace Bay Beach (named by Trip Advisor as the world's number 1 beach), but it turned out to be a rainy day. I took shelter under a thatched hut...which was probably exclusively for guests of the resort fronting the beach. However as everyone had rushed inside to get out of the rain, I had the place to myself - except for some swimmers (if you are already wet in the sea, why run for shelter?). The beach does have lovely turquoise water and acres of sand...but best in the world? I thought it was a bit crowded with loungers and that there are more beautiful beaches in the Philippines...but perhaps I am biased.